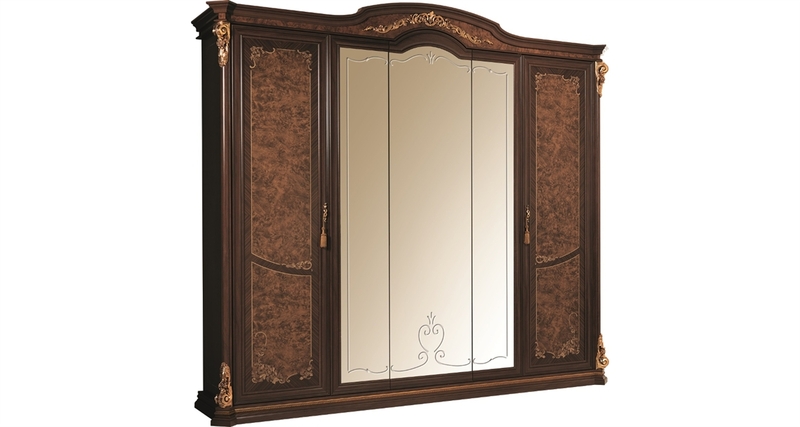 The frontal surface of the five door large wardrobe from the Sinfonia collection exudes light. The three central mirrored doors elevate the clean forms of the entire structure. The top of the central door features a notable decorative gold leaf mount bringing balance and aligning with the capitals of the lateral doors, touches of light which emphasize the exquisiteness of this furnishing.